Criminal defense attorney Leon J. Mezzetti, Jr., has dedicated more than 30 years to defending clients charged with criminal offenses, including DUI, throughout Northern California. Before starting his California criminal defense law firm in 1979, Mr. Mezzetti worked as an Alameda County deputy district attorney where he learned what the state looks for in criminal cases. He now uses that experience to develop a strong defense for his clients. Working together with an in-house private investigator and other experienced attorneys and staff members, Leon Mezzetti offers expert, aggressive and reliable representation that gets results. 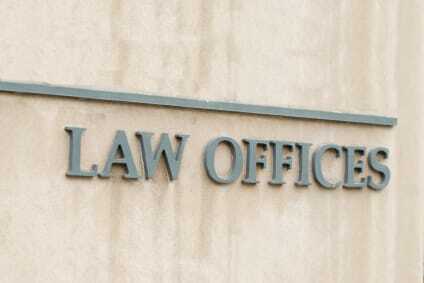 For a free initial consultation to discuss your case, contact us or call us 24/7 at 877-791-1836 or 510-791-1836. In the practice of law, experience matters. Criminal defense and DUI lawyer Leon J. Mezzetti, Jr.'s, experience allows him to identify and evaluate weaknesses in the prosecution's case and the strengths of your case. We understand the fear, anxiety and stress you may be experiencing. The prospect of losing your freedom or your driving privileges is daunting. That's why we take every case very seriously and give each client the personalized expert attention he or she deserves. Expert Criminal Defense Lawyer serving Northern California, including the Bay Area, San Jose, Fremont, Pleasanton, and Stockton. For a free confidential consultation, and for further information regarding how an ex-prosecutor and California criminal law attorney can help you, e-mail us, call us at 877-791-1836 or 510-791-1836, or visit us in San Jose, Fremont, Pleasanton, Dublin or Stockton. Experience really does matter - don't trust your case to an inexperienced criminal defense attorney.